await the moment when the next vintage is brought in. The seventy-five vats are the stainless steel jewel of the new Calon Ségur vat room. 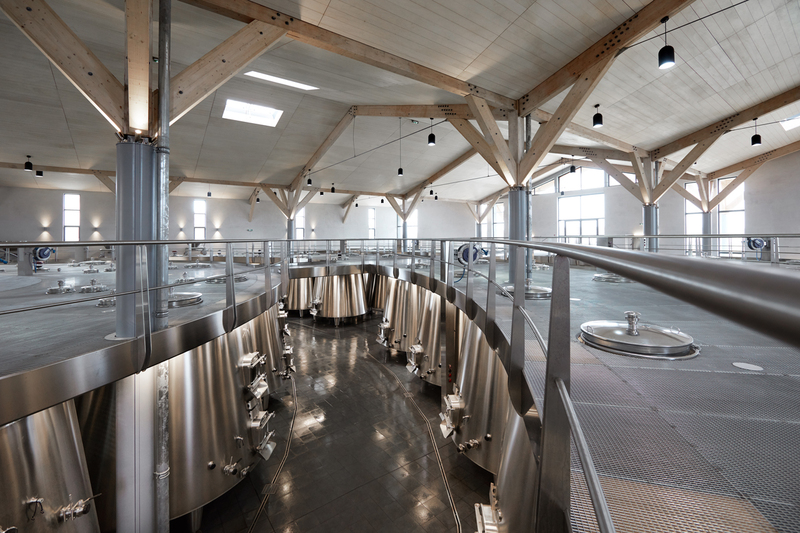 The architect imaginatively designed a two-floored structure to meet the specifications of a gravity-flow vinification process. On the upper floor stands a vast harvest reception platform. On the lower one, a multitude of vats unfold in successive arcs of a circle. The total volume of production hasn’t increased, but the number of vats has been doubled. Their capacities range from 5 to 120 hectolitres, a wide variety that has been specifically adapted to the needs of separating out grapes from massal selection vines, individual plots of vines as well as intra-plot selections. 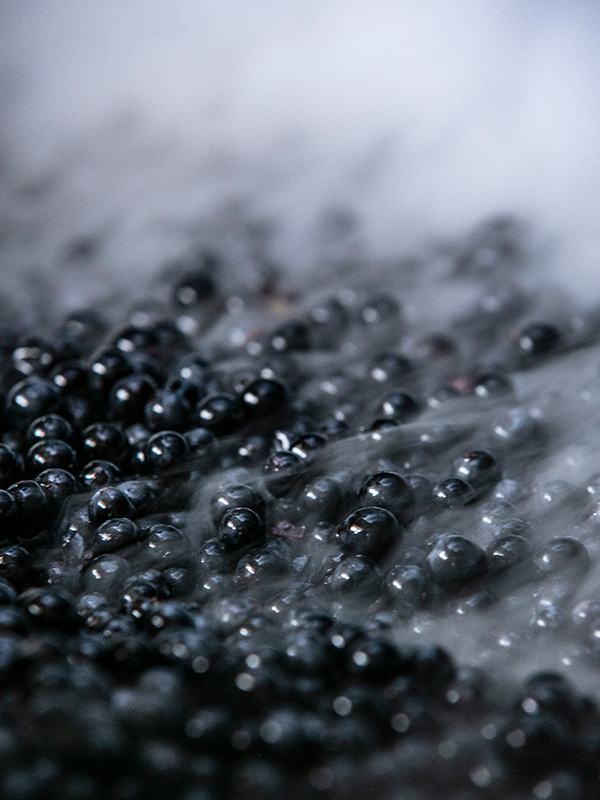 As soon as the bunches are ripe, the vat room starts to buzz with activity. The grapes are de-stemmed, hand-sorted, cooled just to 12°C and then gently taken down to the vats below. The pre-fermentation cold soak can then begin. The elimination of the use of pumps and pipes ensures that the berries remain perfectly intact. With the help of traceability techniques that have been custom-made for Calon Ségur, the progress of the harvested fruit can be monitored at any time and at distance. With this high-performing equipment, the growth is gaining yet more precision and can handle the fruit with greater care than ever.